The California Supreme Court has ruled 4-3 that Yelp cannot be ordered to remove negative reviews posted by users. California is the home state of some the most powerful internet companies today, including Google, Facebook, Reddit, and Yelp. Lawsuits from or against these companies are often heard in California state courts. Although Hassell vs. Bird is only a California state case, the ruling will likely impact the entire country. In June 2012, Ava Bird hired the Hassell Law Group to handle her personal injury case. The Hassell Law Group withdrew from the case in September 2012 because Bird was dissatisfied with the Law Group’s representation. In January 2013, Bird posted a one-star review of the company on Yelp.com that accused the firm’s owner, Dawn Hassell, of being completely absent, making no effort to resolve her case, and of making her legal situation worse. A similar review was posted on February 6, 2013. Hassell asked her several times to remove or modify the review, but Bird refused all requests. On April 10, 2013 Hassell sued Bird for slander and defamation. Bird failed to answer the lawsuit, though she definitely knew about the pending lawsuit against her. Bird updated her Yelp review on April 29, 2013 to include Hassell’s lawsuit against her. Hassell won a default judgment against her in September 2013. As part of the default judgment, the San Francisco Superior Court issued injunctions ordering Bird to remove all her reviews and ordering Yelp to remove Bird’s reviews. Yelp refused to comply with the injunction and instead asked the Superior Court to vacate the default judgment against Bird. The trial court judge declined, and Yelp appealed. The Appeals Court agreed with the Superior Court, though it narrowed the court order so that Yelp only had to remove the three reviews on Hassell Law Group instead of all of Bird’s reviews on Yelp. 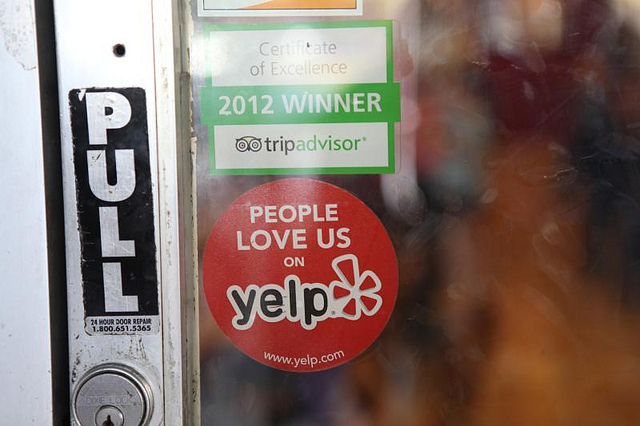 The California Supreme Court took up the case and ruled in Yelp’s favor. Hassell’s attorney is contemplating appealing to the U.S. Supreme Court. What is the Third-Party Publisher Law? Companies like Yelp, Facebook, and Reddit allow users to post comments, reviews, and other commentary on their websites about other businesses and people. Some of these commentaries are often inflammatory, but legally permissible. When the comments and reviews are false though, the other party will try to have the information scrubbed off. Although the court can order the users to take down the reviews, it would be easier if the providers could be ordered to remove the reviews. However, federal law makes internet platforms like Yelp and Facebook immune from most slander and defamation lawsuits. The Communications Decency Act of 1996 (CDA) mandates that “No provider or user of an interactive computer service shall be treated as the publisher or speaker of any information provided by another information content provider.” This means that internet platforms do not legally endorse the speech made on their platform. The CDA goes further: “No cause of action may be brought and no liability may be imposed under any State or local law that is inconsistent with this section.” In English, the people who provide internet space for others to speak are not legally responsible for what those people say. This makes companies like Yelp or Facebook immune from lawsuits about the content posted on their websites. Hassell attempted to get around this immunity by suing the user and then convincing the lower courts to order Yelp to remove the review. In theory, this gets around the CDA because the provision forbidding liability never triggers if Yelp is never named as a defendant. Although the majority acknowledged that this was a rather “creative” argument, it was ultimately unconvincing. First, this tactic doesn’t actually get around the CDA. Yelp would still be liable for violating a court order to remove the reviews, regardless of the label that attorneys and judges put on the order itself. Second, Yelp only found out about the court order after it was issued. Yelp did not have the opportunity to present its own arguments to the judge before the court made its decision. This is a violation of the 14th Amendment’s due process clause. There has been much legal and political debate about “fake news” contents on Facebook and other social media platforms. It would certainly make life easier if a victim of misinformation could sue the commentator or the platform and have a court order the false information removed. However, it is not consistent with the First Amendment to have speech removed. The CDA’s immunity is an extension of this First Amendment principle. Given all the misinformation on the internet though, it would be tempting to rethink these protections. The temptation to reverse free speech protections should not be indulged though. It is distressful that false information is given an equal standing with information that is actually verifiable. The conspiracy theory that millions of illegal immigrants vote in California has been debunked and yet some people still believe it. Instead, we should focus on calling out false information when it comes out instead of trying to make a blanket policy of censorship. The Supreme Court of California was willing to overturn the lower courts in this case partly because there was an alternative solution. The defendant in the Hassell case was Ava Bird, not Yelp.com. Instead of trying to rope Yelp into the lawsuit, Hassell can just enforce the existing order against Bird. If she refuses to remove her reviews, she can either ask the court to vacate the judgment or face whatever punishment the trial court thinks is appropriate. Trying to suppress information often backfires in unexpected ways. For instance, if Hassell had never sought an injunction against Yelp, you probably wouldn’t have read this article.